Channel delays: Strike in Le Havre this weekend cancels DFDS/LDLines Portsmouth-Le Havre services. Passengers transferred to other services. Weather alerts: Amber alert for heavy rain and storms central and southern Italy. Weather: Rain/showers West, fine in the East. Traffic: see @DE_Traffic, from 08:00BST. 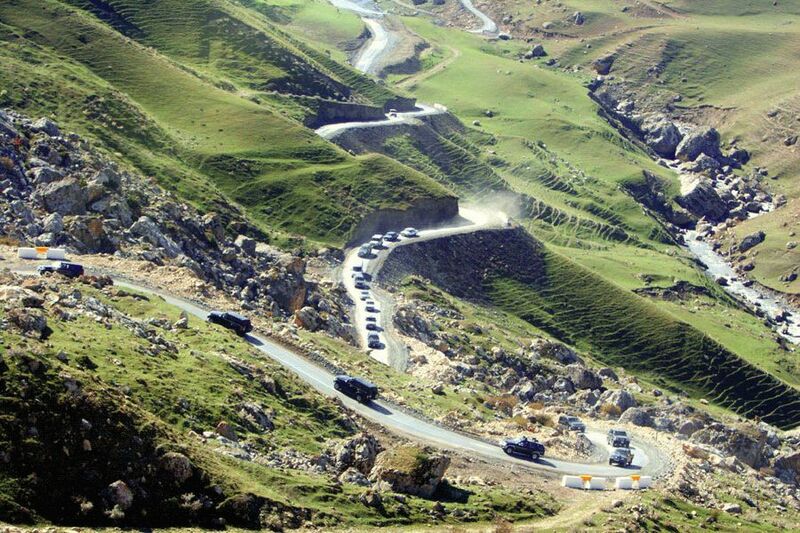 Azerbaijan: a truly random picture, nicked off www.azeryol.az, the state road building company. No idea where it’s taken but that’s likely a convoy containing President Ilham Aliyev driving into the Caucasus mountains or, aka, ‘too little information’.